The following dates are available in the Download-Area in English, German and Spanish. 1900 23rd March: Born Erich Pinchas Fromm in Frankfurt am Main. Only child of the orthodox Jewish wine trader, Naphtali Fromm and his wife Rosa, née Krause. 1918 Final exam at Wöhler-Schule in Frankfurt, then two semesters studying jurisprudence at the University of Frankfurt. Friendship with Rabbi Nehemia Nobel. 1920 At Heidelberg, he switches from studying jurisprudence to sociology under Alfred Weber. Until 1925, he continues talmudic studies with Rabbi Rabinkow. 1922 Receives his Ph. D. doctorate from Heidelberg in Sociology. 1924 Together with Frieda Reichmann, opens the Therapeutikum in Mönchhofstraße, Heidelberg. Psychoanalysed by Frieda Reichmann, later by Wilhelm Wittenberg in Munich. 1926 16th June: Marries Frieda Reichmann. Turns away from orthodox Judaism. Contacts with Georg Groddeck in Baden-Baden. 1927 First publications as an orthodox Freudian psychoanalyst. 1928 Didactical analysis with Hanns Sachs in Berlin and psychonanalytical studies at the Karl Abraham Institute in Berlin. 1929 Co-founder of the South German Institute for Psychoanalysis in Frankfurt, together with Karl Landauer, Frieda Fromm-Reichmann and Heinrich Meng. 1930 Member of the Institute for Social Research in Frankfurt, in charge of the fields of psychoanalysis and social psychology. Completes his psychoanalytic training at the Psychoanalytic Institute in Berlin and opens his own practice there. 1932 Publication of the article On the Methods and Function of Analytical Social Psychology in the first edition of the Zeitschrift für Sozialforschung. 1933 At the invitation of Karen Horney, guest lectures in Chicago. Works on the theory of matriarchy and mother right. Death of his father. Friendship with Karen Horney (lasts until 1943). 1934 25th May: The Nazi regime forces Fromm to emigrate to the USA. He arrives in New York at 31st May 1934. Works at the Institute for Social Research until 1939, repeatedly interrupted by health problems. Evaluation of his 1930 socialpsychological studies of German workers and employees. 1935 Publication of the article The Social Determination of Psychoanalytic Therapy. Cooperation with Harry Stack Sullivan and Clara Thompson. Frieda Fromm-Reichmann goes to Chestnut Lodge near Washington DC. 1936 Publication of his concept of the authoritarian character in Horkheimer’s Studies in Authority and the Family. 1937 Revision of his psychoanalytical approach: psychoanalysis as analytical social psychology (theory of relatedness versus drive-theory). Rejection of his revision of the Freudian drive-theory by Horkheimer, Loewenthal, Marcuse and Adorno. 1938 During his stay in Europe, a new outbreak of his tuberculosis. Six months convalescence on the Schatzalp above Davos. 1939 Parted with the Institute for Social Research. First Publication in English. 1941 Publishes Escape from Freedom and begins teaching at the New School for Social Research in New York. 1942 Part-time professorship at Bennington College in Vermont. 1943 Breaks with Horney. Foundation of the William Alanson White Institute in New York. 1944 24th July: Marriage to Henny Gurland. 1947 Publication of Man for Himself which includes his concept of the „marketing character orientation“. 1948 Terry Lecturer at Yale University on Psychoanalysis and Religion. – Henny Gurland falls ill.
1950 6th June: Moves to Mexico City. 1951 Professor extraordinary at the Medical Faculty of the National Autonomous University of Mexico. First course with students of psychoanalysis. 1952 4th June: Henny Gurland Fromm dies. 1953 18th December: Marriage to Annis Freeman, née Glover. 1956 Publication of the world bestseller The Art of Loving. – Foundation of a Mexican Psychoanalytic Society. Moves from Mexico City to Cuernavaca. 1957 Seminar with Daisetz T. Suzuki. – Death of Frieda Fromm-Reichmann. – First preparations for socio-psychological field research among Mexican peasants. 1959 Death of his mother in New York. She had lived there since 1941. – Publication of the book Sigmund Freud’s Mission. An Analysis of his Personality and Influence. 1960 Intensified political engagement for the Socialist Party of the USA. More lecturing in the USA. 1961 Publication of Marx’s Concept of Man and a work on American foreign policy. 1962 Peace conference in Moscow. Foundation of the IFPS (umbrella organisation of non-orthodox psychoanalytical societies). Publication of Beyond the Chains of Illusion. 1963 Opening of the Mexican Psychoanalytical Institute. 1964 Publication of his biophilia-necrophilia concept, as well as the application of narcissism to social groups in The Heart of Man. 1965 Emeritus status at the National Autonomous University of Mexico City. Greater engagement in peace politics and against the Vietnam war. Height of his fame in the USA. 1966 Publication of You Shall Be as Gods. – A heart attack leads to his retreat from active duties in Mexico. Stays in Europe for long periods. 1968 Assists in the election campaign of Eugene McCarthy and publishes The Revolution of Hope. After Nixon’s victory, withdraws from political activism. Starts work on his theory of aggression. 1969 Rents an apartment in Locarno, Tessin, Southern Switzerland, as a summer retreat. 1970 Publication of his field-research on Mexican peasants. 1973 Publication of The Anatomy of Human Destructiveness. 1974 Decides to give up the house in Cuernavaca and to stay in Tessin all year round. 1975 Works on To Have Or to Be? – Gall bladder operation in New York. 1976 Publication of To Have Or to Be? 1977 Second heart attack. 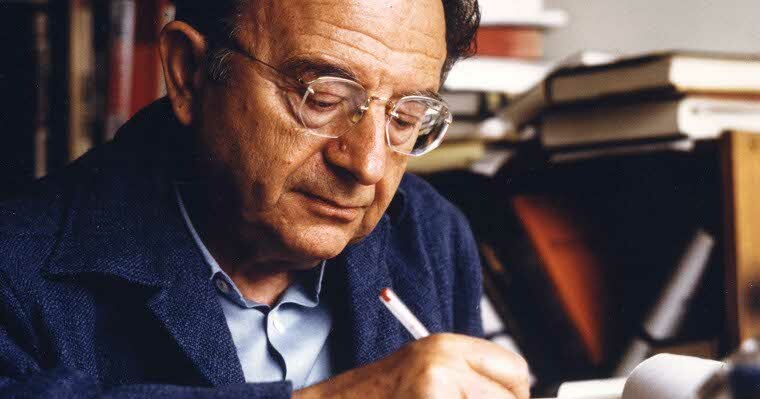 – Fromm becomes a leading figure of the alternative movement in Germany and Italy. 1978 Third heart attack brings on a deterioration of his condition. 1980 18th March: Dies as a result of a fourth heart attack. Cremation in Bellinzona, Switzerland.